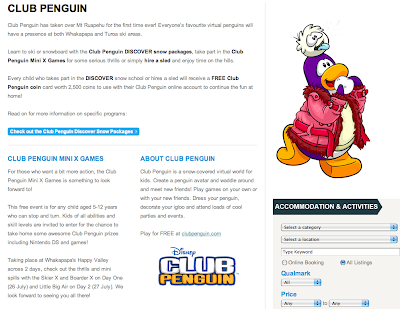 Club Penguin Cheats by Mimo777 Club Penguin Cheats by Mimo777: Club Penguin Mini X Games! Dood! 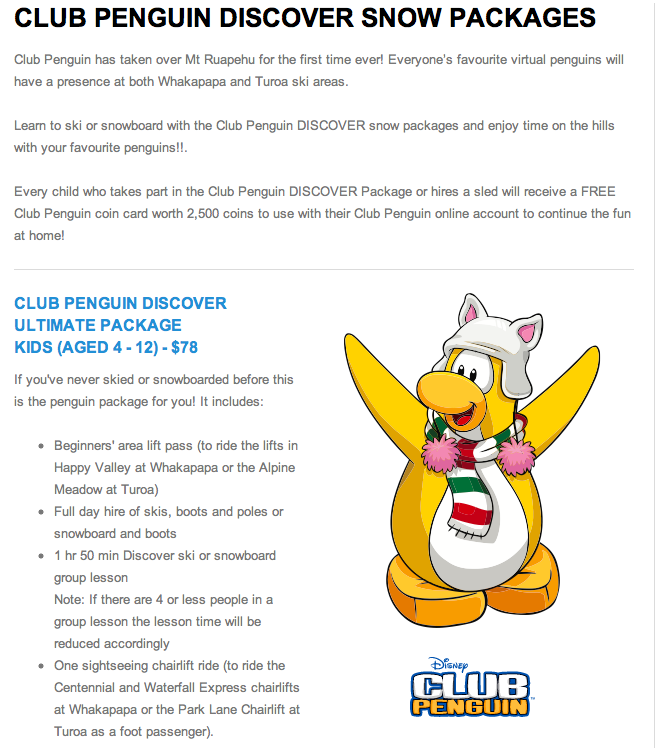 Just when Club Penguin is laying off employees, and raising membership prices, they are Skiing in New Zealand! I am gonna use the photos on my site.BUT I will give credit BY linking to the Post and this Site. I wish they lived in New Jersey, USA. woohoo i do live in nz!!! i will possibly go to it! So they fire employes and rise membership prices so they can go skiing NZ? I hope that they have an event in Canada soon! And CP is Canadian! WOW!! BOX OF FUN!!! I LIVE IN CHRISTCHURCH AS WELL. I KNOW MY PARENTS WON'T EVEN LET ME GO TO THE MALL, SO HOW COULD THEY LET ME GO SKIING. MAN, IT'S SCARY HERE IN THE EARTHQUAKES, BUT I'M PROUD THAT IT'S IN NEW ZEALAND AT LEAST. Seems like not a lot of people are going. I knew I should've pressured my dad to save the trip to NZ for another year instead of last year. Also, I actually don't think many people know that this is happening. I'm gonna ride on Nyan Puffle all the way to New Zealand to I can do this! Several other boys and girls of about the same age were gathered about. Mimo, i have a hint for you. I heard, that Blue Lei migth be returning this year Adventure Party. It will be reward for completing scavanger hunt and Rockhopper's Rare Item is going to be Squid Lid pretty sure. 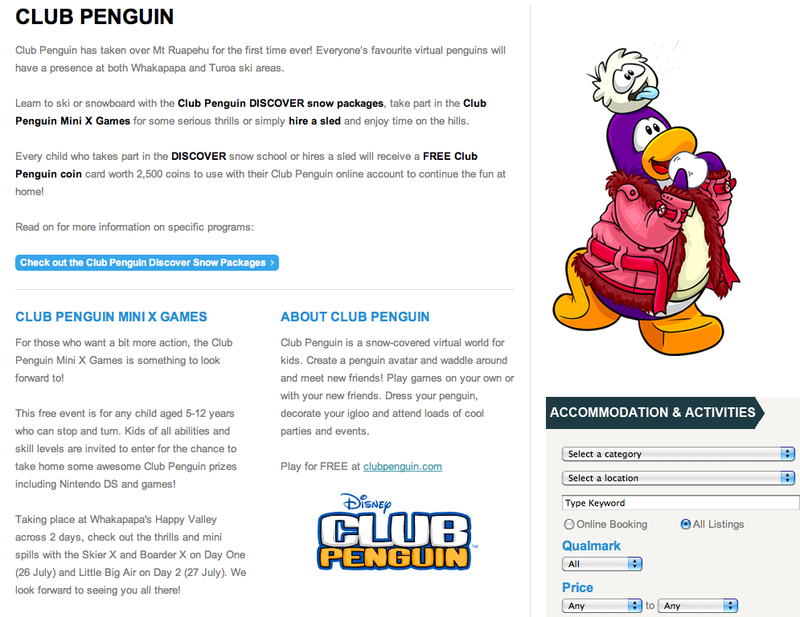 New Zealand never gets enough of CP! no membership cards, hardly any toys and cards, not many events, we are important!! we are just getting our share. 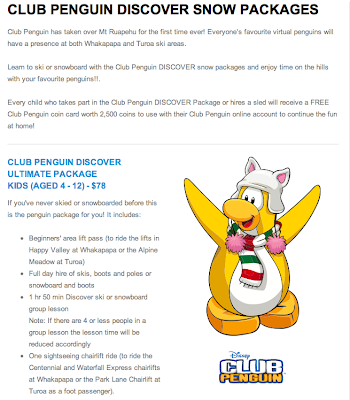 Its kind of unfair CP decideds to do an event here in NZ and they choose Mt.Ruapehu which is really expensive to get to. And far away from most places. Why didn't they do like an event in Auckland,Wellington,Christchurch in big cities and stuff so people can go to it. And please non New Zealanders stop moaning its in NZ because their are tonnes of events held in other countries for CP. I can't wait to go skiing with CP!!! For once, NZ has an AWESOME CP event!!! I'm going to bring all of my clip on puffles on my backpack!!! For all us Aussies we get a contest on the .au disney site. I entered. hope I win. it ends at the end of this month. wish me luck guys. did you hear that? 2500 coins for FREE! all you have to do is pay $78 or more on their exclusive package! I live in Taupo, New Zealand and I hate skiing! Oh well.